We are a small family-run print company. We make no claims to being the biggest, the most high-tech or the oldest but we are a business with a big heart and that is what sets us apart from the others. After all, professional printers, with their machines, are not much different from each other. It is the customer service that varies from one print shop to another and we at Sinag take pride in the fact that we have blazed a trail in providing personalized and customized service that is immensely convenient and beneficial to our clients. We always go the extra mile and we strive to offer additional services as part of our printing press. Here at Sinag, we don’t just do print jobs, we build relationships that guarantee our clients’ success. Hello! If you are interested in a print project but are still unsure of your specifications, please browse our website SHOP below for estimate prices of different print projects (yearbooks, folders, brochures, etc) so you can get a feel for current prices and rates of print jobs with Sinag printing. If you already have your print specifications on hand and would like a custom quote, do email us or go to the GET A QUOTE page of this website and submit your inquiry there. Thanks for visiting and we look forward to doing business with you! SINAG NOW HAS DIGITAL PRINTING SERVICES for small quantity print orders or print on demand needs. We can now accommodate book orders for as little as ten (10) copies minimum order and other small order marketing collaterals such as flyers, brochures, calling cards, etc. Our digital printing service also does souvenir programs and booklets for small quantities. So if you have a newsletter for just a few copies or a specialized school project for just one or two copies, do contact us now and our digital print services can help address your small quantity print needs. Please note that unlike offset printing where we need exact print specifications to write up a quote, digital printing has fixed pricing rates, so please check out our price list for your reference. 1. FULL COLOR 12X18" poster - P65.00/one side print & P130.00/back to back printing. 2. Greyscale/Black and white print poster - P20.00/one side print & P40.00/back to back print. Full color poster, 12 x 18" maximum size, can choose paper for this -- glossy board paper (c2s 220 lbs), book paper, vellum 100, etc. Printed on digital print press, no minimum order required, print while you wait. *** PRICES QUOTED ARE NOT YET VAT INCLUSIVE. YEARBOOK OPTION 1-- 8.5 x 11 size SPECS: FULL COLORS COVER AND BLACK & WHITE INSIDE PAGES. DIGITAL PRINTING on glossy paper stock, Short bond size, can be portrait or landscape orientation. Pls. add P1400 to total contract price if with plastic lamination for cover included. YEARBOOK OPTION 2-- 8.5 x 5.5 size SPECS: FULL COLORS COVER AND BLACK & WHITE INSIDE PAGES. DIGITAL PRINTING on glossy paper stock. SMALLER SIZE: 8.5 X 5.5 (1/2 size of short bond size), can be portrait or landscape orientation, add P1400 to total contract price if with plastic lamination for cover included. YEARBOOK OPTION 3: FULL COLORS ALL! FULL COLORS COVER AND ALL PAGES. DIGITAL PRINTING on glossy paper stock. 8.5 x 11 size: short bond size, can be portrait or landscape orientation, add P1400 to total contract price if with plastic lamination for cover included. YEARBOOK OPTION 4: SMALLER SIZE, FULL COLORS ALL! SMALLER SIZE: 8.5 x 5.5 size (1/2 size of short bond size), can be portrait or landscape orientation, add P1400 to total contract price if with plastic lamination for cover included. * Our maximum size for yearbooks is 8.5 x 11” when it is digitally printed. * Minimum order of 20 books for digital printing. * Fixed price only for Digital printing, this is suited for small quantity book orders. * If you need large quantity order, pls pm or email us for a custom quote and we will send you OFFSET PRINTING PRICES for your book/yearbook. * Print ready files only, no layout and design services currently available for small quantity orders with Sinag. * Payment terms is 50% down payment and cash upon completion. ***Price quoted for 14 page calendar is NOT YET VAT inclusive rate. Custom Made from scratch. 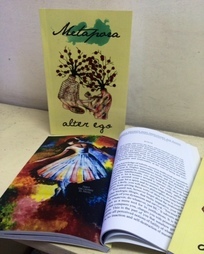 P180.00/pc, minimum order of 500pcs, price includes FREE layout and design service, 14 pages (12 months including front and back cover) with hard back stand covered in special paper and double loop wire binding. Lead time of 21 working days after final proof has been signed and approved, 50% dp and COD terms of payment. ***Price quoted is NOT YET VAT inclusive rate. ​8.5 x 5.5 size,folded, back to back printing with 2 inserts, envelope (ordinary) and envelope tag. Minimum order of 20 pcs. lead time of 7 working days, print ready file. full color print on glossy board paper (c2s 220 lbs), back to back print with three inserts. Print ready file only. Add P500 to total contract price if you want layout and design service included. lead time is seven working days. Minimum of 20 pcs order. 50% dp and COD terms of payment. P110.00/pc. full color print on glossy board paper (c2s 220 lbs), back to back print with ordinary envelope and envelope tag. Print ready file only. Add P400 if you want 30pcs buttefly cut outs. Add P500 to total contract price if you want layout and design service included. lead time is seven working days. Minimum of 20 pcs order. 50% dp and COD terms of payment. 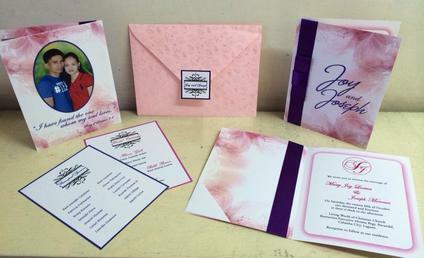 P110.00 full color one side print on glossy paper (c2s 220lbs) with ordinary envelope and envelope tag. Custom Shape and ribbon added. Minimum order of 20pcs for this design. P110.00 full color print on glossy board paper (c2s 220 lbs), back to back print with ordinary envelope and envelope tag. Add P500 to total contract price if you want layout and design service included. lead time is seven working days. Minimum of 20 pcs order. 50% dp and COD terms of payment. These are custom leather notebooks for your company giveaways or for personal events. Specs: hardbound with leather cover, satin bookmark ribbon, cream planner paper, with custom details such as dry stamp or foil stamp on cover and your company or event name on the pages. Standard quantity order is 500pcs-1000pcs but we accept smallest quantity order of 100pcs (price per copy is more expensive, around P380-450/pc). P195/pc at 1000pcs order qty. BROCHURE: 8.s x 11"size (short bond size). Full color offset printing. Back to back printing on glossy paper, c2s 80 lbs paper. trim and fold (two fold or three fold depending on client requirement). *if order is more than 10k pcs please email us for a custom quote. FLYER: 8.5 x 5.5"size. Full color offset printing on glossy paper, c2s 80 lbs paper, back to back printing. cut and trim. *minimum order is 2000 pcs, 50% dp and COD terms of payment. TENT CALENDAR: 8.5 x 6" size, full color back to back printing, foldcote caliper 12 paper (board paper that is glossy on one side), trim/score/cut & assembly. if your order is more than 1000pcs, pls pm or email us for a custom quote. 12x18" size, 13pages, bookpaper 80lbs, full color printing offset printing, padded. 8.5 x 11 size (11x17" spread), full colors cover but greyscale inside pages, 8 pages only, can choose if glossy paper, bookpaper or vellum, etc. no minimum order requirement, print while u wait but cut off time is 2pm, after 2pm, next day pick up only for digital print projects. print ready files only. 8.5 x 11 size (11x17" spread), full colors all, 8 pages only, can choose if glossy paper, bookpaper or vellum, etc. no minimum order requirement, print while u wait but cut off time is 2pm, after 2pm, next day pick up only for digital print projects. print ready files only. If your magazine is more than 8pages, pls email us at sinagprinting@gmail.com for your exact specs and we will send you a custom quote for your project. SPECS: Offset printing, Ctp output. 9 x 12 size, ONE SIDE PRINT ONLY with inside pocket and calling card holder. with plastic lamination for protection (choose if glossy or matte finish). Lead time of 14 working days after final proof has been approved by client. Print ready files preferred. 50% dp and COD payment terms. ***For orders less than 100 pcs, we can accept thru digital printing option, fixed price of P290.00/ per pc, minimum order of 10 folders. Other options for add ons: custom brochure inserts for folders, back to back printing (both outside and inside part of folder will be have printed design), company profile magazine included in the custom folder project. For these add-ons and other customization requests please email us at sinagprinting@gmail.com for you requests and other specs and we will write up a customized quote for you. For custom book projects, please email us at sinagprinting@gmail.com and send in you specs (number of copies, pages, size, binding preference,etc) and we will send you a custom quote. Our FAQ page answers your questions about professional printing, the basic definition of printing terms and processes, as well as the meaning of various industry jargon. This is our step by step guide for beginners who want to get the services of professional printers. Our office is located along the National Highway in Barangay Parian, Calamba, Laguna. 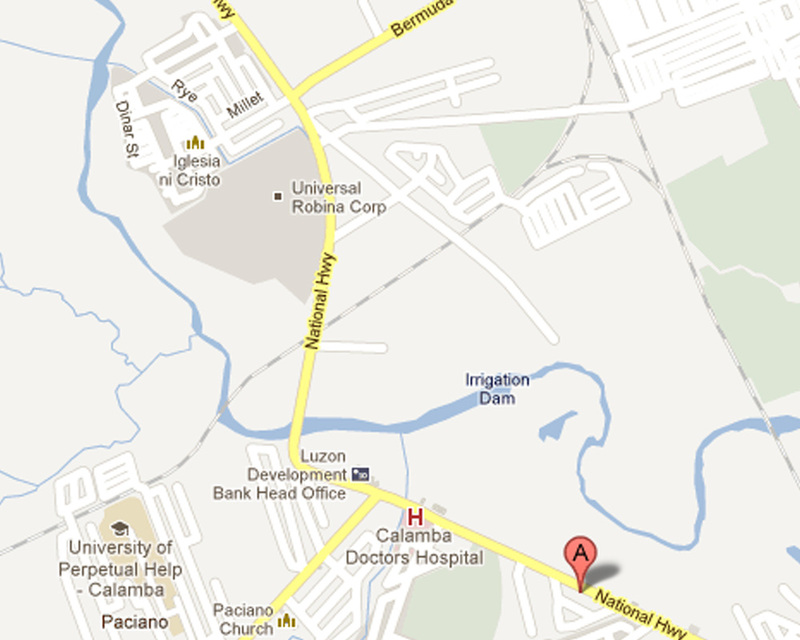 We are 3 to 5 minutes away from Checkpoint / CDH (Calamba Doctor's Hospital) BY CAR and right beside Statcare Diagnostics. You can also find us registered with google maps and Waze under Sinag Publishing and Printing Services.